Hiring managers love to ask questions about your greatest weakness in a job interview. They’ll expect detailed examples in your answer, and they want to hear a unique weakness. Interview answer examples to make sure you know how to answer (and how not to answer) before your next interview! Hiring managers ask about your biggest weakness (or top 3 weaknesses) for a few reasons. First, they want to see how you view yourself. Whether you’re self-aware and able to identify a weak spot and be honest about it. And of course, if you do have a weakness that’s going to hurt your performance in their company, they want to know and avoid hiring you! So I’ll talk about what weaknesses not to share in the next section. Hiring managers know this isn’t an easy question to answer either, so they want to see how you perform under pressure also. Fortunately you’re going to go into the interview room with a gameplan for this specific question, so you’ll feel a lot less pressure than most candidates! The strategy: Turn a strength into a weakness. If you’ve ever looked for help answering this question in the past, you were probably told to do something like this. Interviewers are pretty tired of hearing answers like this, though. Hiring managers have heard it so many times and it’s lost its magic. They won’t be thrilled with interview answers like this because it doesn’t really tell them anything, other than the fact that you read a few interview tricks before coming in. They want a real weakness. They want to learn something about you and your background. Now that you know what not to do when naming your weaknesses in a job interview, let’s look at what you *should* do to “wow” the hiring manager. That means you have to keep a few things in mind and avoid a couple of potential traps. First, don’t share anything as a weakness that relates to how you work with others or how you get along with management. Trouble taking direction or coaching? trouble communicating? prone to arguments and disagreements? Better pick a different weakness to share! In fact, to play it even safer I recommend you pick something skill-based, not personality-based. That’ll keep you in the clear. When you pick something skill-based, you want it to be relevant to your work, but not a primary focus of the job you’re applying for. If you’re looking to become an accountant, don’t say your weakness is working with numbers or being detail oriented. However, you could say your weakness is a certain type of tool or software, or an entire area of accounting that you haven’t worked particularly closely with recently. Maybe you studied it in school but haven’t had a chance to use it hands-on since then and you’d require some time to brush up. After giving a real weakness in your answer, you want to show how you’re stopping this weakness from being an issue, or how you’re making sure it doesn’t effect your overall work. For example, maybe you’re rapidly improving in the area. Maybe you’ve found a way around it with other tools/skills, etc. I put a sample answer below to show you how this might sound in the interview. The example is based on somebody in the software/programming field, but you should be able to understand this no matter what. This is a good answer as long as you’re not interviewing for a job where they expect you to start using this skill (Java programming) every day. 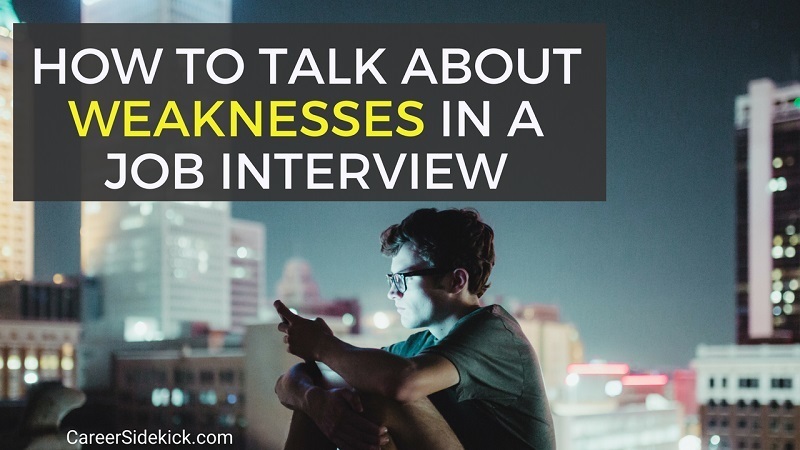 >>> Never name a weakness that’s a core part of the job you’re interviewing for! Look at the job description and you’ll get a sense of this before the interview. If you read the full article you now know why hiring managers ask, “what’s your greatest weakness”. And you know why the typical answer most people are giving is *not* going to impress them. You also know the formula to come up with a great answer that WILL stand out and make them want to offer you the job. If you missed that, make sure to go back up and get familiar with the two-step answer formula for giving a real weakness and then explaining how you’ve overcome it. If you give this type of answer instead of the typical “fake weakness” (a strength disguised as a weakness), you’re going to build a much better connection with the hiring manager. This will make you more memorable and more likely to get a job offer. I’d highly recommend going into each interview prepared to share at least one detailed example of a weakness using this two-step method. This is one of the most common questions employers ask, so you’ll be a lot calmer and better-prepared if you have an example ready to go!